Pierre Hurel at Camper & Nicholsons is offering the 54m sailing yacht Parsifal III for charter in the South Pacific this summer. Her striking exterior has benefited from a full repaint, including hull and superstructure, new coverings for all sun loungers, new alfresco dining tables and brand new water toys. Her stunning, multi-award winning Remi Tessier interior is now more luxurious than ever with a number of upgrades finished throughout, including all new flooring, re-upholstery and an impressive VSAT system. Accommodation is for up to 12 guests in six staterooms. Water toys include two tenders, a Waverunner, two Seabobs, two sailing dinghies, water skis and various towables. 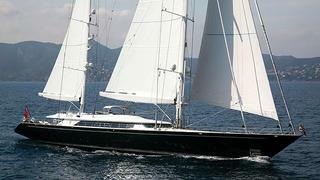 Parsifal III charters at weekly rates from €195,000.